Data science is concerned with the study of data both analytically and predictively, addressing quantitative and qualitative characteristics, and employing cutting edge scientific methods. In this day and age of pervasive information flow, modern knowledge-based societies need tools and means of analyzing and sifting through data to extract and visualize relevant information in a timely manner. The data could be structured such as those found in databases and knowledge bases; semi-structured as in streams of financial data, video data, or climate data, and unstructured data as in streams of text from the web, a collection of articles from a newspaper, or large collections of radio shows. The Data Science group at GW brings several strands of research in machine learning, databases, data mining, natural language processing, and computer vision together to create a comprehensive program that addresses the challenge of handling "Big Data". This research addresses: (1) advanced information retrieval topics, including math search and audio/image/video search; (2) data analytics, including the sampling and mining of web databases, online social networks, and search engines; and (3) use of natural language processing techniques for advanced search and mining applications. 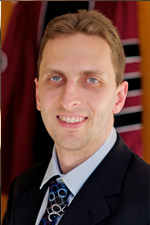 Research Interest: Professor Diab conducts research in Statistical Natural Language Processing (NLP) is a rapidly growing, exciting field of research in artificial intelligence and computer science. Interdisciplinarity is inherent to NLP, drawing on the fields of computer algorithms, software engineering, statistics, machine learning, linguistics, pragmatics, information technology, etc. In NLP, we model language and its use. We build both analytical models and predictive ones. 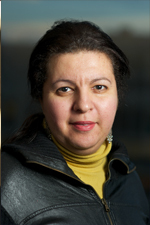 In Professor Mona Diab's NLP lab, we address problems in social media processing, building robust enabling technologies such as syntactic and semantic processing tools for written texts in different languages, information extraction tools for large data, multilingual processing, machine translation, and computational sociolinguistic processing. 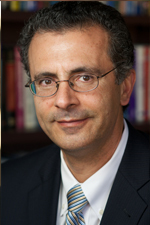 Professor Diab has a special interest in Arabic NLP, where the emphasis has been on investigating Arabic dialect processing where there are very few available automated resources.